Brooklyn Nine-Nine took a victory lap at the Television Critics Association’s summer press tour Wednesday as showrunner Dan Goor and the cast celebrated its move to NBC after Fox’s cancellation. 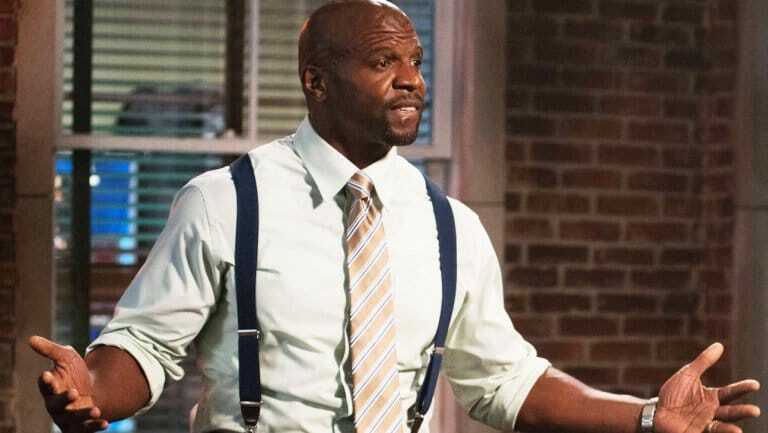 While the crux of the 30-minute session focused on how different the Universal Television-produced comedy will be on its new network (the answer: not at all), star Terry Crews was asked about his recent experience after he came forward as a victim of sexual assault. The actor, who recently testified before the Senate Judiciary Committee about proposed legislation known as the Sexual Assault Survivors’ Bill of Rights, called the experience his “summer of freedom. Crews noted that he told the Brooklyn Nine-Nine cast about his experience as a sexual assault survivor the day before he went public with his story on Twitter. “Back in February 2016, I was assaulted by Adam Venit, who is head of the Motion Picture Department at William Morris Endeavor, one of the biggest agencies in the world, period,” Crews said in November. Crews filed a criminal complaint against Venit, but the Los Angeles City Attorney’s Office declined to prosecute, citing the statute of limitations. “This is just the beginning and I feel like this is going to be a new day and now the town will be safer for my wife, for my son and for my daughter,” Crews said. Showrunner Goor said he and the show’s writing staff are talking about doing a #MeToo episode as the Andy Samberg-led ensemble comedy will continue to take on timely subjects. Goor noted that the key to taking on any sort of topical issue is making sure the storyline captures the tone of Brooklyn Nine-Nine. While Rosa’s coming out and interaction with her parents will continue to be explored, Goor stressed Brooklyn Nine-Nine would not tell a #MeToo story unless the writing staff can crack the right story. Samberg reiterated the difficulties connected with telling topical stories and called the “Moo Moo” episode a challenging experience. In terms of what to expect on NBC, Brooklyn Nine-Nine staples like the annual Halloween Heist will still be back. “So far it’s more of the same — and better,” Goor said with a laugh.